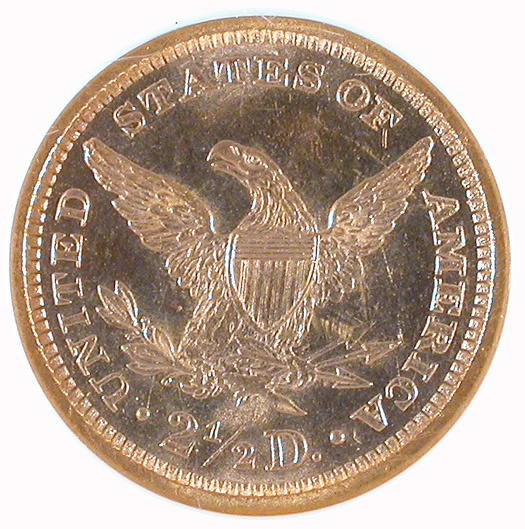 This is a very rare quarter eagle. With an original mintage of only 4176 pieces, this coin being offered is the finest known for the date. This is the only gem MS-65 coin graded by either PCGS or NGC and has to date never appear for sale at public auction. This gem has prooflike surfaces and booming luster over cameo devices. Of all the quarter eagles, David Akers considers this date to be the 2nd rarest in the series. 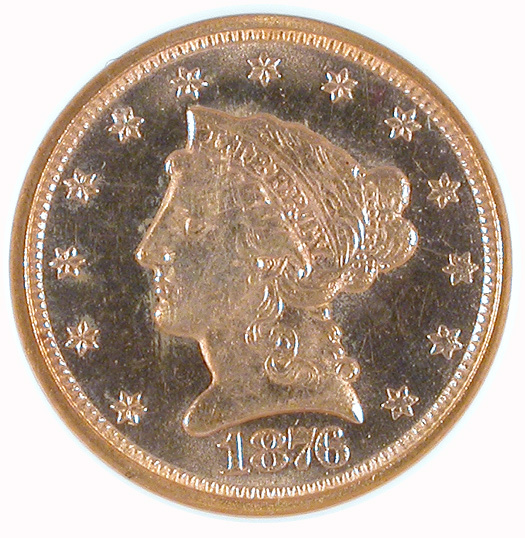 This coin IS the plate coin in the Akers book! A tremendous opportunity to acquire the best!